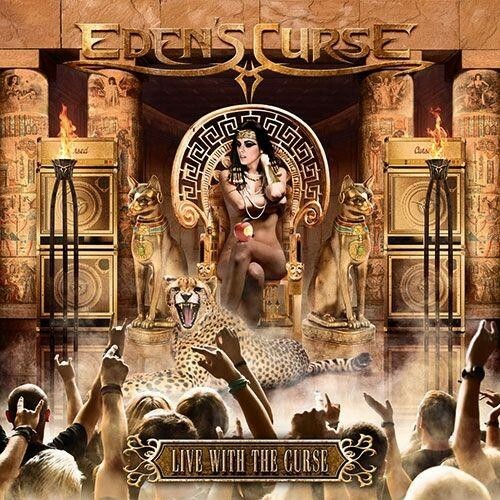 Eden's Curse returned home to Scotland on November 28th 2014, their task was to play a concert in front of a sold-out audience at Glasgow's Classic Grand. They also decided that it would be a good idea to record the show for posterity. The end result was a hundred minutes plus of classy Melodic Hard Rock/Metal played in front of rabid partisan crowd – an enticing prospect I hope? As soon as 'Live With The Curse' starts and the band hit the stage on that night, you can tell that they had their fans in the palms of their hands. From the first note until the very last one fades away, they simply could do no wrong. This is mainly down to the fact that the five men put on such powerful performances (six if you count those in attendance) and played eighteen songs taken from the band's four albums with such a relish and passion that they make you wish you'd been there on that hot Glasgow night. So why not do yourselves a favour and spend a couple of hours in the company of 'Symphony Of Sin', 'Break The Silence', 'Masquerade Ball', 'Black Widow', 'Trinity', 'Fly Away', 'Just Like Judas', 'Fallen From Grace', 'Jerusalem Sleeps', 'Time To Breathe', 'Rock Bottom', 'Devil In Disguise', 'Wings To Fly', 'No Holy Man', 'Unbreakable', 'Judgement Day', 'Evil & Divine' and lastly 'Angels & Demons'; they are all here for your delight and enjoyment. Though it's not just these wonderful songs that make this album one you should want to own, it's the performances from the band themselves and the way they interact with the crowd that makes this live album something special. Paul Logue's witty banter is warmly enjoyed by the fans whilst his bass playing is out of this world, Thorsten Koehne's guitar work is stunning and the interplay between keyboardist Steve Williams and drummer John Clelland is at times mesmerising. But for me, the real star of the show is the band's newish vocalist Nikola Mijic (Dreylands). He really puts in one hell of a turn on this release; he was brimming with confidence, commanded the stage and demanded the audience pay attention and his passionate delivery is reciprocated and loved by those present who sang along with him to every word of every song. 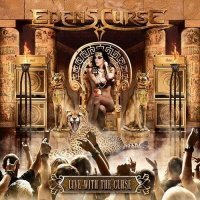 Like bands of old, Eden's Curse have gone down the old-school route of recording albums. Firstly a few back to back studio releases then a live album to finish off chapter one of the Curse saga. Now let's hold our breath for chapter two, whilst enjoying one of the best live albums I've heard in quite some time.